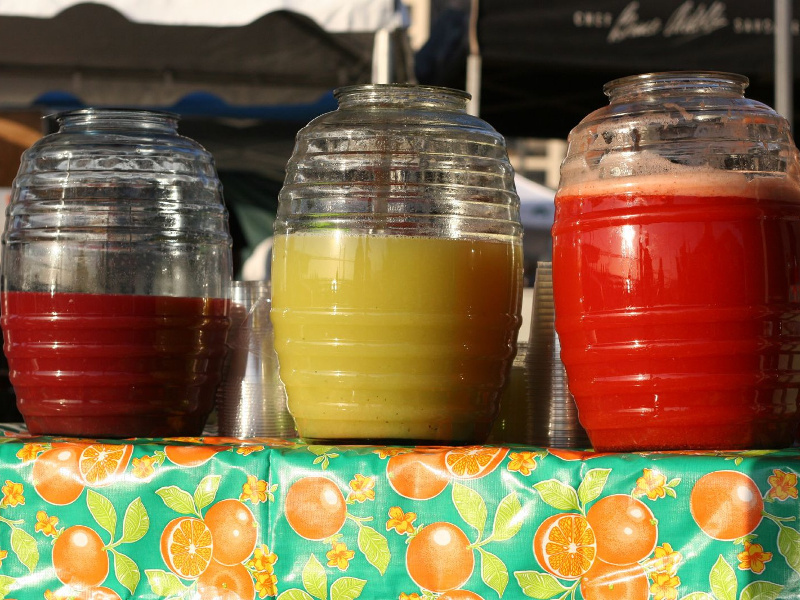 Aguas frescas are fresh fruit drinks that are very popular all over Mexico. These refreshing beverages are typically served from large barrel-shaped glass containers. Some of the more traditional varieties are watermelon, cantaloupe and strawberry. Add the fruit and 2 to 3 cups of the water to a blender and puree until smooth. Strain through a sieve into a large pitcher. Add the rest of water, 1/2 cup of sugar and lime juice if using. Stir well and add more water and sugar as needed. Serve well chilled. Agua de Fresa: Use strawberries. Agua de Jamaica: see Sorrel Punch recipe. Agua de Melón: Use cantaloupe or any other melon. Agua de Papaya: Use papaya. The addition of lime juice makes a tastier beverage here. Agua de Sandía: Use watermelon. Agua Fresca de Pepino: Use peeled, seeded cucumbers and lime juice. Cut down on the sugar. Very refreshing. The lime juice is not required, but can add a welcome tartness to some aguas frescas.